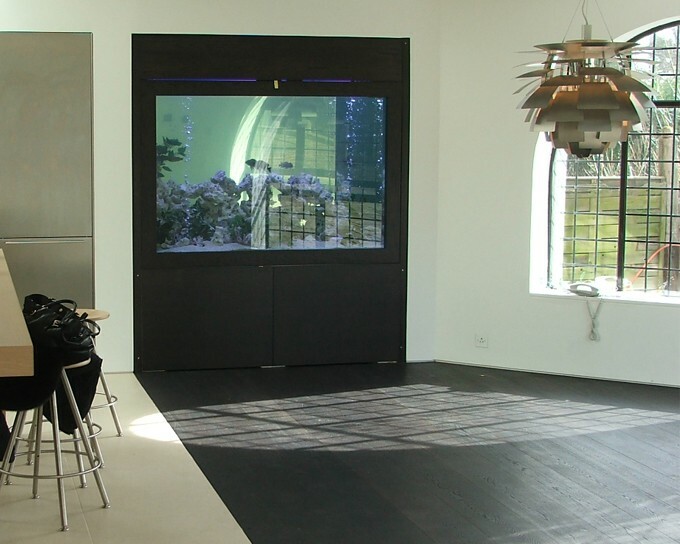 We were asked to supply an aquarium which would fill an alcove in the far end of the client’s kitchen. It brings light and a sense of serenity to the area, particularly in the evenings when it is dark. The aquarium is fitted with air pumps to create bubbles and with both blue and white lighting so that different moods can be created.